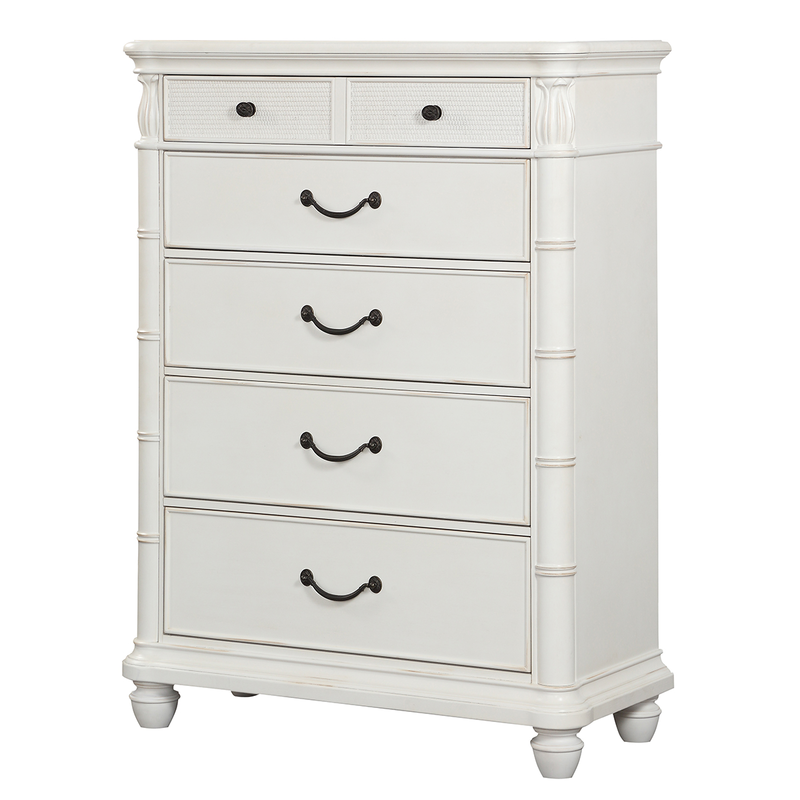 Give your bedroom a new tropical look with the Bamboo Motif Ivory Chest of Drawers. This chest of drawers features flowing lines in a versatile ivory finish, woven textures, round bun footings, turned bamboo-like posts, and soft palm inspired finials bringing to mind swaying palms, cool breezes, and warm sun and sand. 54 1/2"W x 20 2/3"D x 42 1/2"H; 139 lbs.